We take great pride in being a part of this community and in working so closely with our clients and their pets. 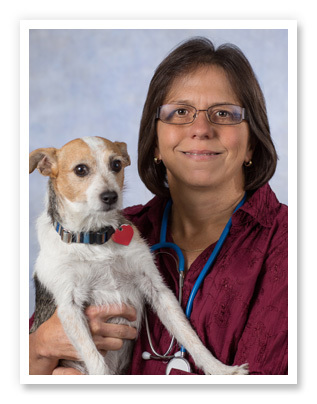 Dr. Kremer and our veterinary team take a hands-on approach to veterinary medicine - we're down to earth and practical, but with all the technology and skill that is required for a state-of-the-art practice. Developing close relationships with clients is very important to Dr. Kremer and our practice strives hard to maintain a positive connection with our community. "I’ve practiced in this area for 23 years and I’ve watched children grow up, family members pass away, and time catch up with many others. We don't advertise. My business has grown by word of mouth alone and that’s important to me," Dr. Kremer said. Dr. Kremer bought the Harrison Animal Hospital in 1999 from Dr. William Kuhlman. In 2004, the practice moved from a 1000 sq. ft. converted house on Harrison Avenue to a 4000 sq. ft. hospital on May Drive. Our new Harrison, OH veterinary location has given us plenty of room to grow and to continue to expand our services. We're open until 5 p.m. on Saturdays and three evenings each week. We accept cash, Visa, Mastercard, Discover, personal checks or CareCredit.